July is one of the best and busiest times of the year to head down to the Gulf Coast and spend your summer days. You’ll have a litany of family-friendly activities and events to enjoy throughout your Gulf Shores vacation. 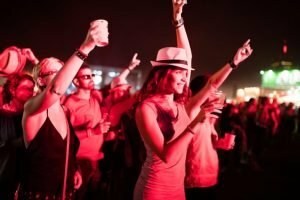 Better yet, our Gulf Shores luxury resort is in prime location to many of the exciting things you can do this July along the Gulf Coast! For more information on The Wharf Amphitheater, contact (251) 224-1020. 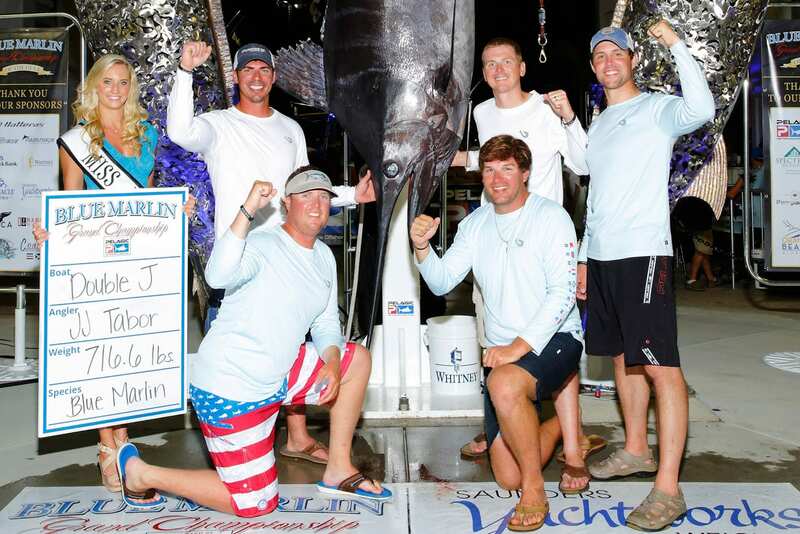 Orange Beach’s biggest fishing event of the year takes center stage at The Wharf Marina from July 10th – July 15th. Eighty-five teams of fishermen will set to the sea to pull the biggest catch they can find, and weigh their monster catches and see the biggest fish on display. From beginners to professionals, all are welcome to participate in this popular Orange Beach fishing event. For more information, call (251) 224-1900. 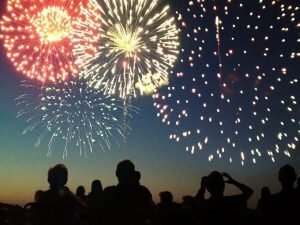 4th of July Fireworks Celebration at The Beach Club Resort & Spa – The Beach Club Resort & Spa; Wednesday, July 4th, 9pm; Kid’s activities, live music, food specials, fireworks. The Alabama Gulf Coast is known for its beautiful sunny days and a nice breeze. What better way to cool off on those hot summer days than with a colorful tropical drink. Enjoy a refreshing beverage at the Gulfside Bar & Grill, located on-site at The Beach Club, or visit The Village Hideaway, also located on-site, which boasts tons of delicious food and drinks, and their own arcade. Throughout the month of July, The Beach Club Resort & Spa will be hosting numerous Clubhouse activities and things to do for all ages! 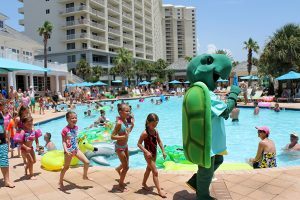 Enjoy dance parties, balloon sculptures, on-site entertainment, poolside music, and so many more free activities at our Gulf Shores resort. Check out our summer events schedule at The Beach Club here! History buffs may find it a fitting time to tour Fort Morgan http://www.fort-morgan.org/ at the end of the scenic Fort Morgan peninsula. During the summer months of June and July, there are daily guided tours at 10 a.m. Staff dressed in period clothing will speak about the Fort’s historical significance, military occupancy and the like. Self-guided tours are also available from 8 a.m. to 5 p.m. every day. Pricing is available on their website. Need an extra little something for the wee travelers this holiday? Check out the Pirates and Princesses Breakfast at The Hangout! Available 8 to 10:30 a.m. through Labor Day, this all-you-can-eat breakfast feast is accompanied by skits and sword fights, as well as a search for pirate booty! Affordably priced (adults $13, ages 6-12 $7, 5 and under free), don your princess or pirate costume and head on over for a value-added vacation extra! The kids will love it (adult kids included). Take advantage of the Fourth of July sale at nearby Tanger Outlets in Foley. Shop at famous brand stores from Friday, June 29 to Sunday, July 8 and download the Tanger APP for additional sale finds! If you’re a Spectrum Resorts guest, you’ll find a voucher for a Tanger Outlets coupon book in your check-in packet. Redeem the voucher at the mall office and get started shopping and saving! Book your Gulf Shores luxury condos at The Beach Club Resort & Spa for July before they’re all booked up!